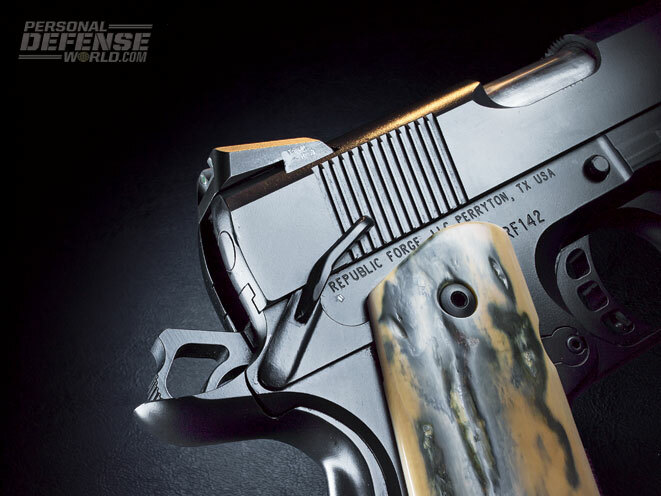 If you really want a master-crafted one-of-a-kind, Republic Forge's "Build Your Own 1911" program is tough to beat! 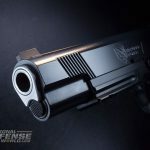 The 1911 came with a Trijicon HD front sight and a serrated slide. 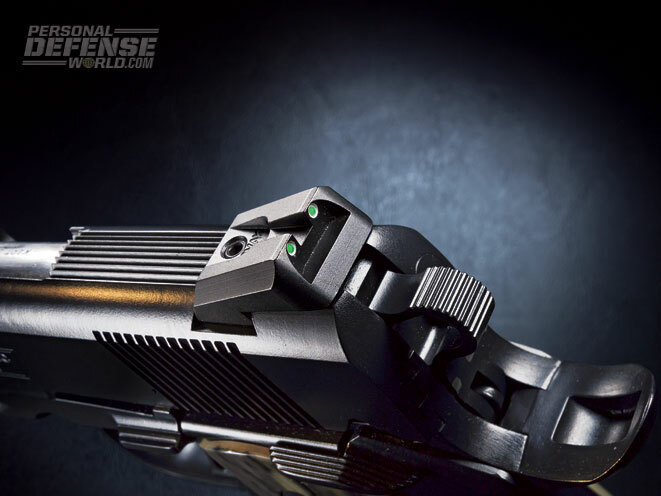 The Novak rear sight is easy to see in low light. The ambidextrous thumb safety is another upgrade. 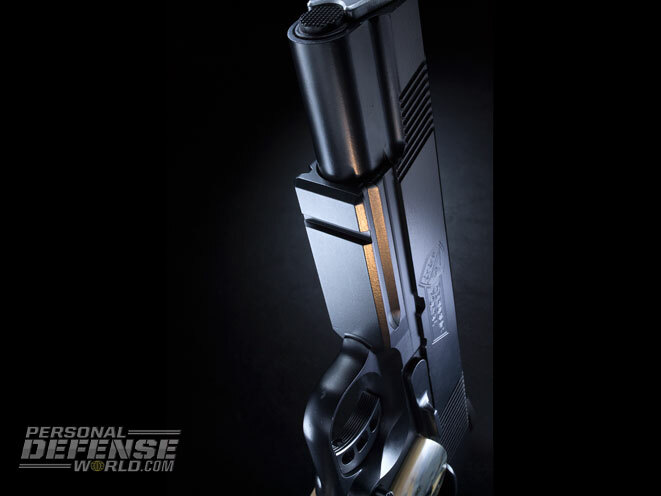 The 1911 ran reliably, and the barrel seemed to prefer 200-grain rounds. 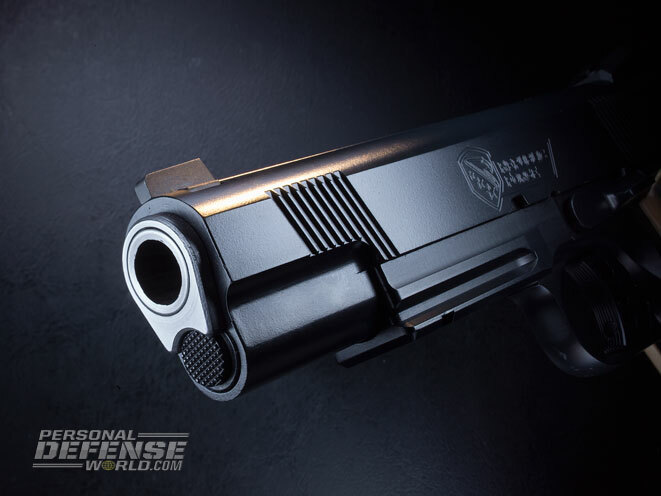 More than 100 years of production and active service leave little untried in the world of the 1911 pistol. 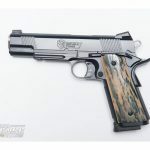 It’s been chopped, lengthened, lightened, refinished, re-gripped, tuned and tweaked in every imaginable way since the U.S. Army adopted John M. Browning’s design in March of 1911. 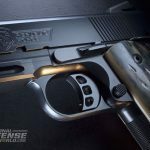 With so many variations in the market driving shooter preferences, how can a new company deliver something innovative in the already crowded world of the 1911? 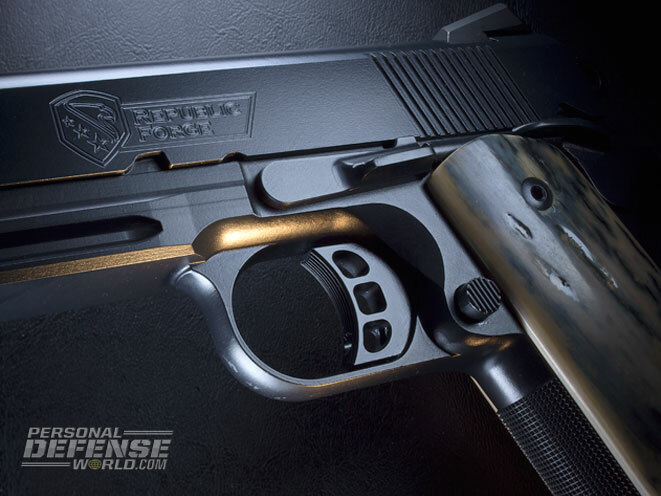 Benny Deal found a simple answer—build a 1911 from all-American parts and allow customers to choose from a variety of features to create a one-of-a-kind 1911-style pistol that suits their preferences. Republic Forge founder Benny Deal was both frustrated and inspired. An experienced and successful businessman in the petroleum services industry, Deal knew the challenges of forming a start-up and delivering a quality product and service to the marketplace. 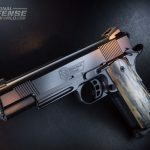 When he sought to purchase a custom 1911 for himself, Deal found the waiting lists long and the prices high, so he decided to start a business, Republic Forge, to address the problem. But Deal knew it would take more than just American parts to be successful. 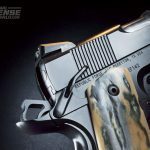 The 1911s from Republic Forge would have to be pleasing to the eye and hand, a pleasure to fire and customized to each shooter’s preferences. To pull this off, Deal drew on his Texas ingenuity and some modern technology. 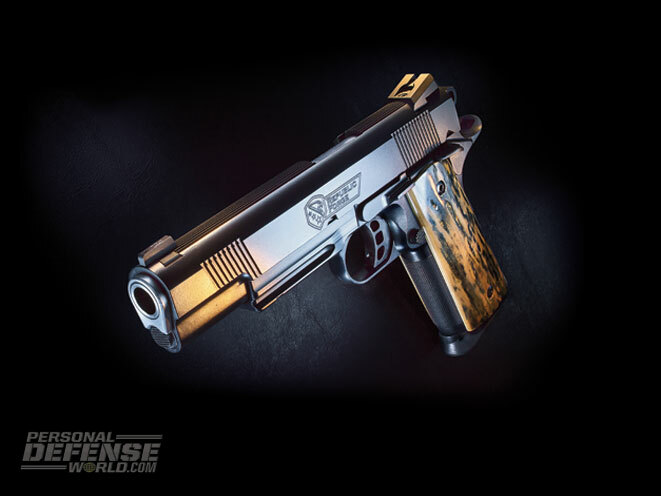 Republic Forge built a website that allows users to build a virtual model of their 1911. A buyer can select between model, frame color, slide color, sights and grips, and then see a virtual image of the pistol. Selections can be switched back and forth, with dozens of permutations the buyer can experiment with before making a final selection. 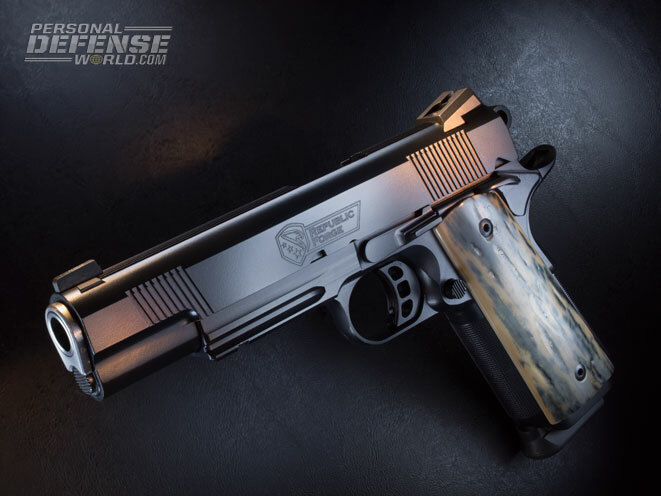 Once the style is chosen, the buyer selects custom options such as caliber, slide serrations, safety styles, frame modifications, target sight colors, mag well styles or custom grip materials. 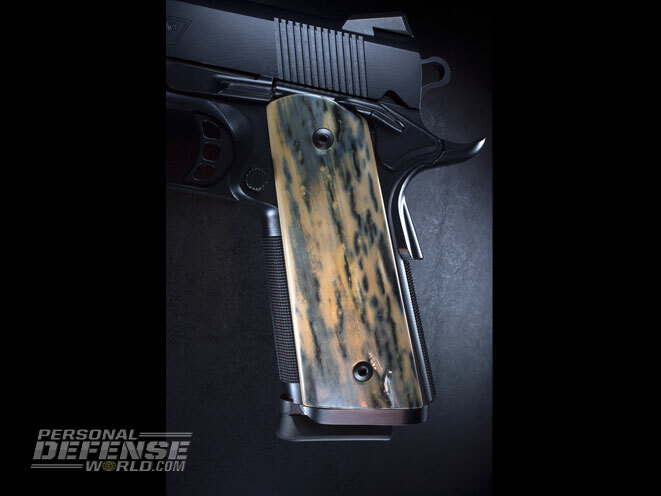 Finishes can also be chosen, from a variety of Cerakote color options to a traditional blued finish or even a modern Damascus steel. 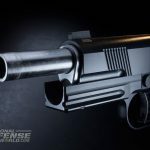 Without the ability to turn customer choices into reality, the Republic Forge idea dies on the vine, so Deal brought in Jeff Meister, a custom 1911 gunsmith, to build and oversee the production and precision fitting of each pistol. Meister began his waltz with 1911s in 1983. 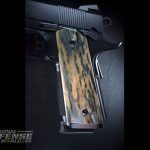 The Republic Forge website directs potential buyers to a “Build Your Own 1911” page where you can begin the process. Starting with a full-sized Stryker standard frame, I began to select options in frame color, slide color, sights and grips. Colors range from Barret Bronze to Tungsten Gray, with unique choices such as Texas Tan and Blue Titanium. 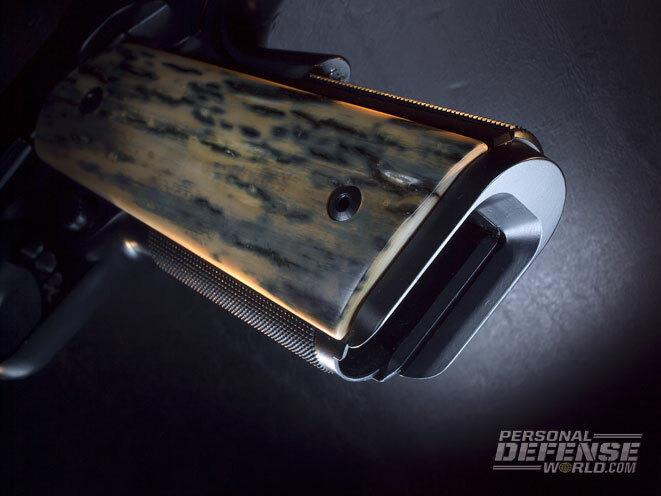 You can match the slide, frame and grips, or go for a two- or three-tone look. Grips range from aggressive G10 in a variety of colors to smooth, traditional ivory. 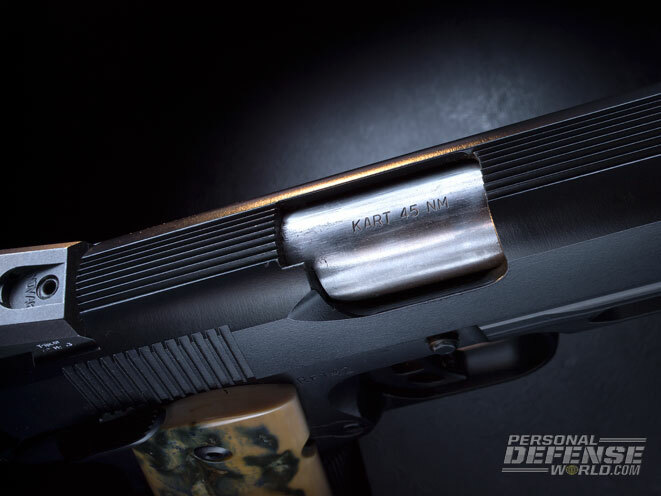 Sight options are Novak night sights or Bomar adjustable. 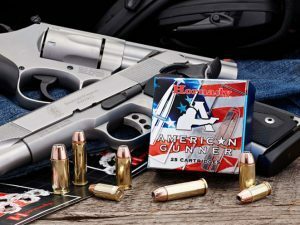 Caliber choices include .45 ACP, 9mm, 10mm, .40 S&W and .38 Super. Slide steel options are standard or Damascus, the latter being a particularly distinctive look. 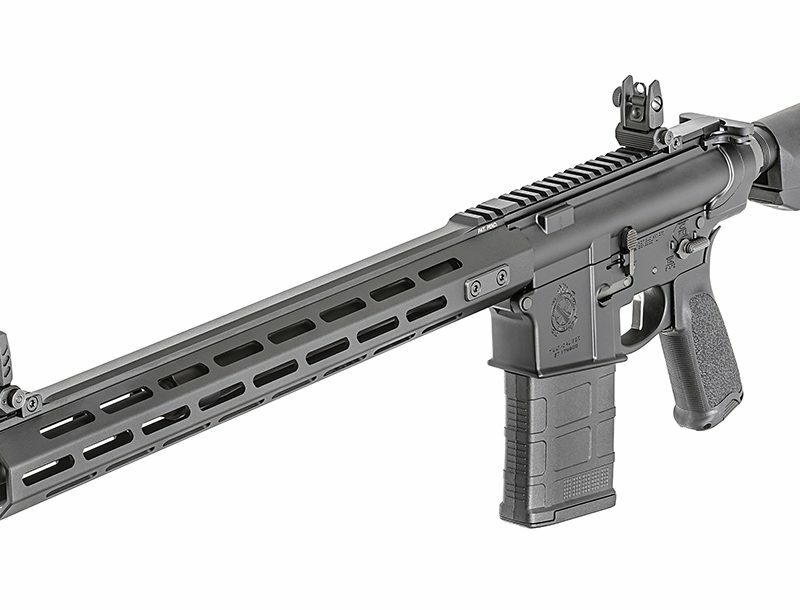 Frame modifications include a Recon frame with a light rail or a double-stack mag well, carry cuts, blueing and polish options as well as target sight colors. 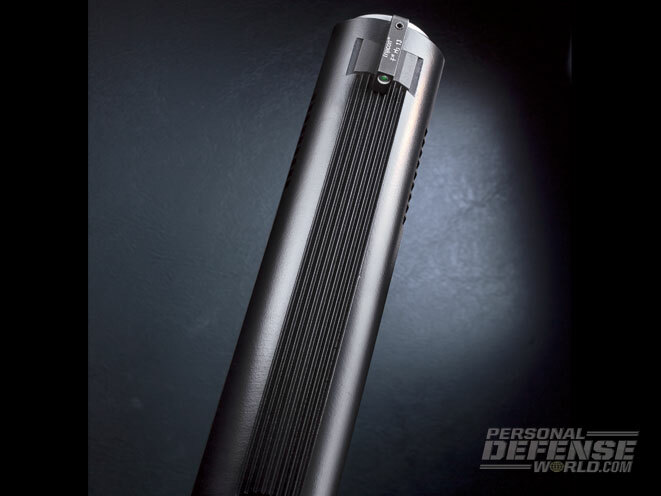 Control options allow for a choice of a single or ambidextrous safety and cocking serrations. 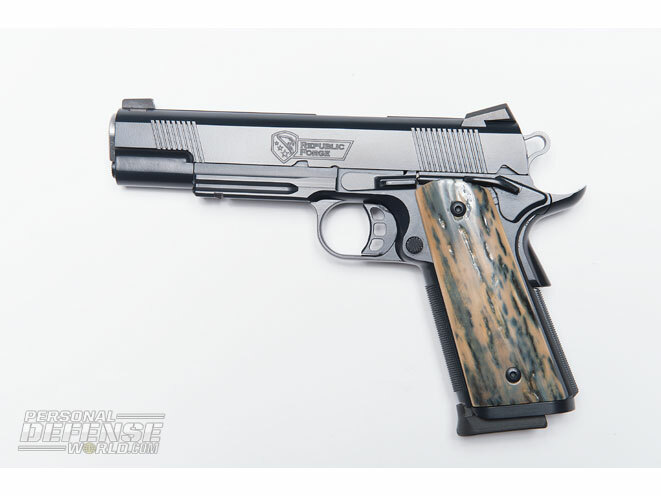 Ultimately, I settled on a SOCOM Blue slide and frame that complemented the mammoth ivory handles I had seen on one of the company’s pistols previously. From a controls standpoint, I opted for the Recon slide with ambi thumb safeties, front cocking serrations, a green rear Novak night sight, a Trijicon HD front sight and a flared mag well. When you unbox a Republic Forge pistol, it’s your baby. In my case, it was a proud moment. To me, the combination of the frame and slide color was a perfect match to the ivory handles. But it wasn’t until I felt the whole pistol as one system that I truly appreciated the Republic Forge process. 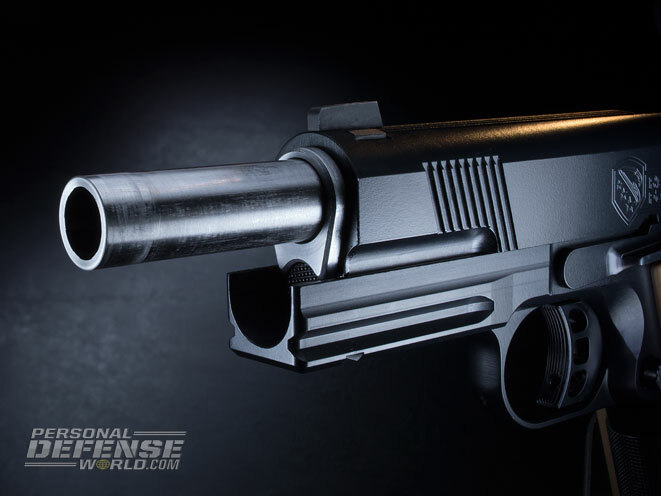 Along with the Kart match-grade barrel and stainless bushing, the pistol’s overall look was clean and elegant. Aesthetic impressions absorbed, the functional critique began. Finishing a beautiful 1911 is one thing, making it fit precisely and cycle consistently is another thing entirely. 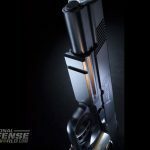 “For me, the most important elements of a 1911 are reliability, accuracy and beauty, in that order. 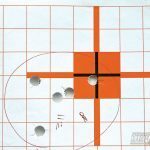 If you can’t count on the pistol to fire every time, the other factors don’t matter. 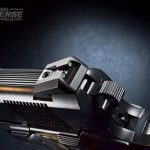 Having said that, I look closely at barrel-to-bushing fit and slide-to-frame fit on mine or anyone else’s guns,” said Jeff Meister. From a finish standpoint, Meister’s fit and finish is commendable and uniform. The slide-to-frame fit is clean and precise. The parts are nicely blended and there are no observable blemishes. The trigger broke cleanly and consistently between 4.25 and 4.5 pounds, exactly where I asked Meister to tune it. The safeties functioned properly and the thumb safety snapped distinctly into both its positions. 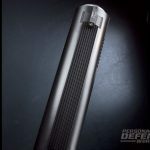 The front and rear cocking serrations, in my book, are a must for a full-sized 1911, along with 25-lpi front- and backstrap serrations. In retrospect, the only change I might have made was an arched mainspring housing for purely ergonomic reasons. 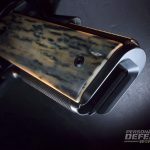 But the straight, serrated lines on this pistol contrast nicely with the natural contours of the mammoth ivory grip panels, so it’s only a minor consideration. The only change I made to the setup was highly specific to my preferences; I dressed the slide stop/release to better facilitate assembly and disassembly. Again, this is a non-standard and highly personal change. It’s a surprising pleasure to have a pistol show up exactly as you want it to look and feel, with a trigger set exactly where you asked for it. 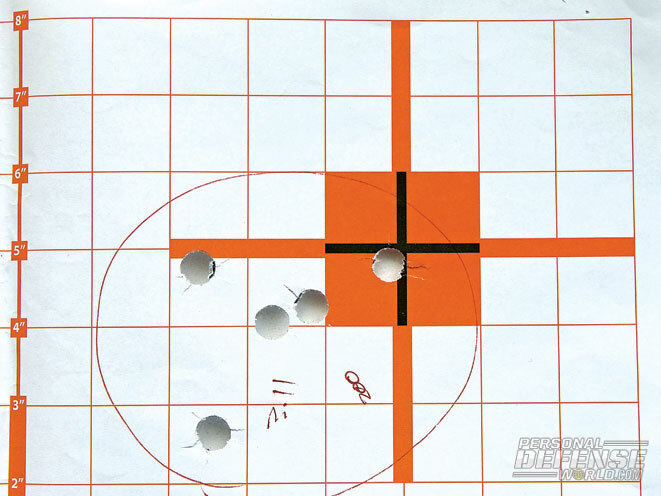 But it still must hit the target where the sights align and do so without failures. The Republic Forge 1911 was a pleasure to shoot and required no sight adjustment. Ejection and extraction were reliable, and the brass arched up and away, reflecting the proper geometry and tuning of the extractor and ejector. 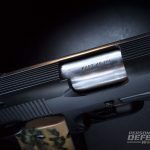 From 230-grain ball to 185-grain jacketed hollow points (JHP), the Republic Forge 1911 fed and fired with no errors. The barrel liked the 200-grain wadcutters the best, but there were no noticeable differences in function between the various loads. Buying a Republic Forge pistol was a new and pleasant experience. With the Republic Forge system, you choose what you want, not what you are talked into or must settle for. 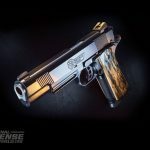 Ultimately, the company delivers a highly customized, one-of-a-kind pistol at a competitive price. For more information, visit http://www.republicforge.com or call 806-648-1911.